As part of our ongoing “Writer-to-Writer Reviews” series, we’re thrilled to present this book review. The opinions in this commentary do not necessarily reflect the opinions of Writer’s Relief. Feel free to read this week’s featured book, and share your own thoughts about it in our comments section! If you’re looking for the magic bullet to combat writer’s (or poet’s) block, The Crafty Poet, A Portable Workshop by poet Diane Lockward may be the book for you. In 282 tip-filled pages, the book not only tells, but shows the reader how to craft a poem. Within the book’s ten topical sections are clear discussions of the poet’s tools: sound, imagery, syntax, lines, diction, and more. Model poems by fifty-six nationally known poets—including thirteen former and current state Poets Laureate—inspire and lead the way. There are also twenty-seven prompts taken from Lockward’s monthly online Poetry Newsletter. If you tackle a prompt every other week, you could have a meaty, chapbook-size manuscript of poems completed in just one year. Besides the author’s excellent craft advice, the reader also benefits from my favorite segment, “The Poet on the Poem.” And if model poems, poet interviews, and craft tips aren’t enough, Lockward includes sample poems from forty-five additional poets. The only thing missing from The Crafty Poet—I wish there were blank pages after each of the ten sections, because the book inspires action. I found myself driven to scribble a first draft right in the book’s margins. The Crafty Poet is more than a workshop, it’s a bona fide workbook. This book is for accomplished and aspiring poets alike. And readers will applaud the portability of The Crafty Poet (easily stowed in a backpack or purse), because most poets don’t earn their living from poetry. They live incredibly busy lives that feed their art. For a cost far less than the going workshop rate, Diane Lockward has given us a top-notch experience—leaving us no excuse for avoiding the crafting of a poem…or two…or twenty-seven. Linda Simone loves all forms of discovery: from helping people realize they can write a poem, to uncovering an emotional truth in the rewrite process. She also loves to use visual art as the spark to a poem—both in teaching workshops and also in her own writing. Learn more on her website. Want To Submit Your Review For Consideration? Grab your FAVORITE book about writing craft, technique, or creativity, and send us a book review of 350 words or less. Here are some tips to help ensure that your review could be chosen for publication. Tell us about the target readership. What kind of writer will love this book? Focus on the positive. Let us know what’s so great about this particular book. Be specific. Tell us exactly how this book helps creative writers. What practical advice does it offer? Include your name as you want it to appear and a bio of no more than 50 words. And be sure to include a link to your author website, if applicable! 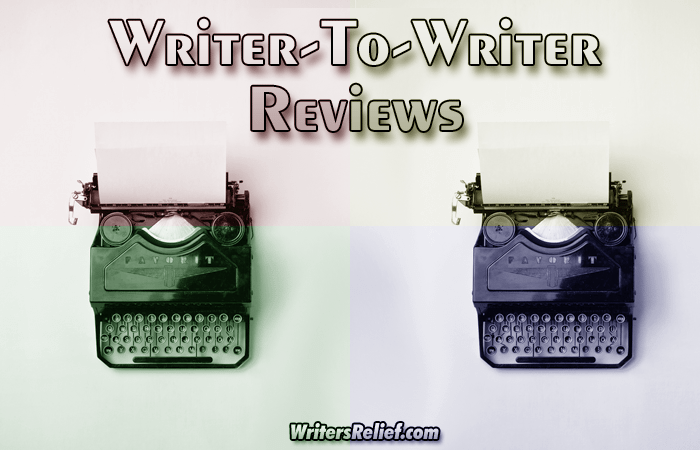 If selected, your book review will appear on our blog. We look forward to reading your book review—complete the form below to submit your review! You may upload your review here. File types accepted include .doc, .docx, .rtf, and .txt. For example: John Smith is an avid reader of literary fiction and experimental poetry. He is a professor of post-modern literature at Harvard University. When not reading or teaching, he enjoys cooking and playing classical guitar. By checking this box, I agree to allow Writer's Relief to post my review on their website (WritersRelief.com) and to include it in any mailings or other media as deemed fit by Writer's Relief.